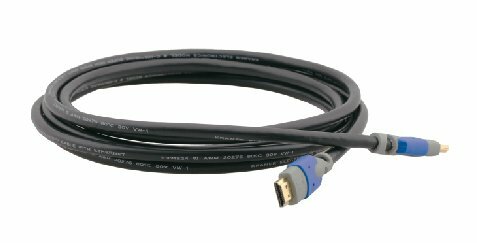 The Kramer Electronics 6' HDMI (M) to HDMI (M) Home Cinema HDMI Cable with Ethernet is a high performance cable designed to connect HD devices to HD or full HD plasma, LCD, PS3, Blu-ray and HD DVD players. This premium cable supports fast data transfer speeds of up to 10.2 Gbps and supports a maximum resolution of 1080p.This high performance cable features solid construction for optimal audio and video. A dual overall shield protects against EMI and RFI interference, while gold-plated connectors resist corrosion and offer the best possible connectivity. If you have any questions about this product by Kramer Electronics, contact us by completing and submitting the form below. If you are looking for a specif part number, please include it with your message.